My daughter had a change of venue and decided on another dress. This dress gives you two totally different looks with one dress. Sheer beaded lace off shoulder neckline with key hole back and short sleeves. 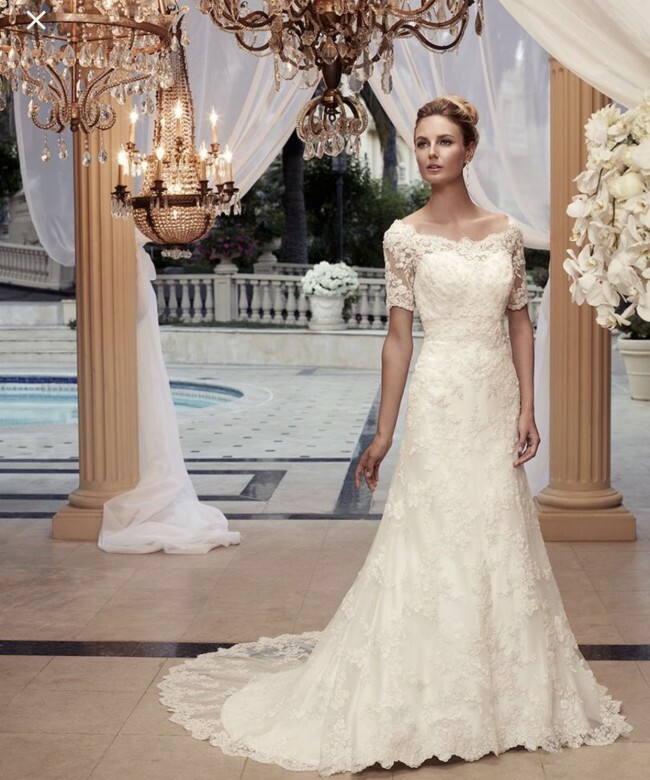 Beaded lace overlay is finished with a scalloped hemline. Remove the entire lace overlay for an entirely different look. Under the lace is a strapless soft sweetheart Crystal Satin gown. Ruched bodice, pleated waistband and satin buttons along zipper.